**update update** Jam Deadline pushed back 24 hours. Get in some final polish! 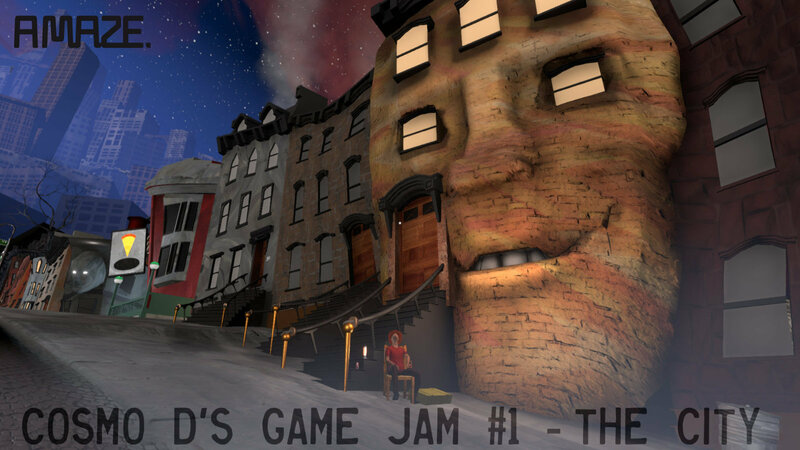 This game jam being run in tandem with my discord channel , and is open to all. As many of you know, I've used the idea of 'The City' and its various manifestations and forms, as inspirational fuel for my games. In this jam, I'd like to see how you, the community, take the idea of 'the city' and use it as a jumping-off point for your own creative work. Consider my games as a starting point, or one of many, and dive into the creative possibilities of exploring any ideas you have around the city - fictional, factual, specific or abstract. Surprise me. Surprise us all! Game genre: Whatever you want, but consider that you have exactly the month of February to make this. Scope responsibly. Prizes: The top three games submitted will be immortalized on an 'High Scores" board inside of an in-game store in my next game, Tales From Off-Peak City. In addition, all contributors will receive complimentary keys to The Norwood Suite and its soundtrack, and I will stream each of the games at a date sometime after all the games have been submitted and voted on. AMaze. Games Fest in Berlin will also present all games at their annual festival, from April 10-13. For more details on that, click: https://amaze-berlin.de/. Gameplay: How does the game feel to play? How much did you enjoy playing? Visual Style: How does the game's look and aesthetic hold together? Sound And Music: How good does the game sound to you? Embracing The Theme: How effectively does the game embrace the theme of the City? X-Factor: How much of that 'indescribable-something' does this game have for you? 1) No jam-spam. We'll know it when we see it. 2) Respect the code of conduct, which mirrors the Code of Conduct of the Global Game Jam. GGJ's conduct is more suited for in-person situations, but if you're collaborating over the internet, the rules of conduct still broadly apply. -Scope small. Don't get hung up on implementing too many ideas. In fact, try to implement your ideas into your game as early as possible so you can play-test and iterate. This is where you'll find the real fun! - Take breaks, pace yourself and enjoy the process. I'd rather you pace yourself so that you're having fun making something solid, rather than stressing yourself out trying to make something super-polished, which could lead to burn-out. Avoid crunch! Scoring vs score-free jam? I encourage folks to take this jam seriously (within reason), so I'm implementing some degree of stakes with a ranking system.